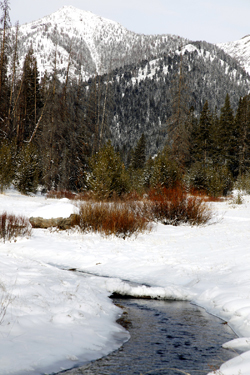 Early winter snows cast a thin blanket of white over the meadows surrounding Gladiator Creek near Galena Lodge in the western Boulder Mountains. Yesterday, the National Weather Service released a winter storm warning advisory that called for a large winter storm packing significant snowfall to arrive into south central Idaho by Thursday evening. The strong Pacific storm is forecasted to drop as much as a foot of snow in the mountains above 6,000 feet, with mountain valleys below 6,000 feet potentially receiving as much as eight inches of snow by this morning. Developer to city: Want cash for housing? Artist’s reception Friday, Dec. 19, 5-6 p.m.